How do I tell if this is real life? Ramblings of a yet-to-be-published author with a rather controversial worldview. Where I hide my thoughts, tucking them away for better days. An experiment in self-importance. I have no idea what to write about. I have a headache, my anxiety level is running high, and I have way too many things in my head. A torrent of angry bees is trapped in my psyche while my head is being held in a steadily tightened vice, the pressure ever-increasing. I set goals today, and I defended those goals. I planned finances. I have a good grasp of what the next year will require of me and what I require of it. Now all I want to do is hide, or have a good cry...but for absolutely no good reason. I go to the gym now. I do CrossFit three times a week. When I can't make it to the gym for a few days in a row I tend to feel like crap. Maybe that's what this is; a mental break gone on too long. It's been so long since I escaped into my writing, so long since I wrote for hours while the world disappeared. 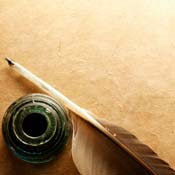 It's been so long since writing was not an exercise but a raison d'être, an involuntary impulse, a life lived in words. Those last 2000 words are killer. I tweeted that a few days ago. The truth is, I've written those last 2000 words over and over and over again but...but they aren't the right ones. The story too big for me to tell. I can't finish it because if I do, then I let down all the characters and the world I've created and built. I go back and edit earlier sections, because prettying up the middle is better than dealing with the apocalypse I've left at the end. My touchstone word for 2013 is "fearless". I'm already starting to regret choosing such an uncompromising word. But that's the point, isn't it? To stretch to the point of breaking, to build to the point of destruction, to dream dreams bigger than oneself? If I had to choose one goal right now, it would be to be infinitely different than who I am at this moment. It would be to remain the person I am when I feel invincible. I have so many things going on, so many fingers in so many pies. My life would make a terrible reality show, due to the sheer number of THINGS I HAVE TO DO ALL THE TIME. My internal thought processes, on the other hand, those I could write a book or two about (which I may just do someday). I am still writing madly, everything from exposition and articles, to children's stories in verse, to my 3 ongoing novels, to...well, a handbook on love. Why am I writing a self-help book, especially on love? Excellent question. It's the coolest thing I've ever written, and you'll just have to wait to read it to find out why. Otherwise, writing life progresses. I am learning from mourning, learning from pain, learning from the people in my life who do and think and say miserable things. I am learning to hide cruel and callous people from my own life in pages of my books, thereby rendering them powerless. I am learning. I am doing. I am living. I am creating. I allowed someone to read SERA. And I respect that person's opinion a tremendous amount. And it's not finished. I was going to give up on it, on my characters, on Coy. I was going to shelve yet another mostly finished book and walk away because I didn't feel like I'm good enough to write their story. I can't believe how differently I feel now... I am reinvigorated, and back in love with everything about my book. Last night I even worked out the resolution in such a way that it leads into the coolest sequel EVER. No, seriously, you don't understand: angels, demons, true love, so much pain...and now possibly my version of Armageddon. I also set up a writing schedule again. I used to be so disciplined with my writing time, and that's how I got 75% of a book written in 3 months, and why I've had the other 25% left hanging for over a year. I am going to get serious about this writing thing. For those of you who have crit partners and who go through this experience all the time, YOU ARE ALL SO SMART AND BRAVE. For those who never have, oh my gosh, try it. Having just one person fall as deeply in love with your story as you are and want to know how it all turns out is the best high I can imagine. It makes me feel like maybe, someday, it will be more than one. Maybe, someday, I'll have readers. It also makes that not matter nearly as much, since I really don't need anymore outside approval than I've already received. It's been awhile...it's been decades in terms of "life" time. Everything I am has been broken down into composite parts, and the rebuilding has begun. I wonder what it will be, this writing life as a single mother, once the dust settles? At the moment, I'm running a 22 hour/day schedule with very little time for personal writing. I have started a business based on my love of words: http://www.halawriting.com/ Check it out if you wish...I'm pretty proud of it. But what of my daydreams on paper, my thoughts and my characters...? What of Coy and Asher and Sera... They sit, neglected, waiting for my rebirth. I have life again in words. Again I have found healing, strength, and power in what I write. My rebirth will be the rebirth of my book. And it will be beautiful. Ok, no - that would be physically painful/impossible for me. I have, however, stopped working on my WIP and haven't really worked on any of my current side projects. I have been writing tons, but most of my writing is falling into the spheres of journalling or exposition. I am experiencing creative stagnation. I don't think this is as painful as typical writer's block where the writer has something to say but just can't say it. I just can't disappear into my writing lately. Part of this is because I recently had a revelation: I don't write as well as I need to. I often fall into the common traps of one-dimensionality and too much 'telling'. I want my stories to have the impact they deserve, and I have come to believe that I am (at least currently) not the best person to write them. But the more I put it off, the more crippling my doubt becomes. I now doubt every single thing I have ever written. I doubt my ability to communicate clearly - much less weave a web of dreams around my readers. I have written in a sporadically prolific manner since junior high school. I wrote reams of poetry and piles of songs only to fall silent for long periods. I have had long periods, some lasting years, where I haven't written creatively at all. During each famine, I have doubted that I would ever write anything again. The difference is that I have never doubted the worth of everything I've ever written. How many times do we fall in love or hate in the process of reading a really good book that provides vicarious experiences? I have started writing a heartbreaking short story....well the concept is heartbreaking, we'll have to see if I can pull it off to the point that I break a reader's heart as well. The technique for creating vicarious experiences is unclear...often you don't realize that you've created it until after a reader has pointed it out. I want my readers (if I ever have any) to completely enter the world I weave around them. I want to create the magic that I've felt so often...I want to create the escape that I have sought in books all my life. So, reaching out here...anyone have any ideas on how to leave your readers sobbing, laughing, reeling.... Living in your story with your characters...rather than just reading their experiences? I've been thinking a lot lately (yeah, I know, big shocker) about the reasons why I write. I've discussed on here that writing can be an act of arrogance, an act of deceit, and an act of vanity. But today, as I leapt into Coy (the cafe at the centre of my wip) I realized that I was writing as a means of escape. I've always read to explore. I've been to Paris, to Rome, all over England. I've been to Narnia and Never Never Land. I've been down the rabbit hole and through the looking glass... In books I have met some very good friends who have never, could never, let me down. In books I have been brave, I have been bold, impulsive, and free. In books I am so far away from my life that it comes as a shock to the system when I have to come back to reality. Today, I got that freedom while writing. I'm sure I've had it before, but it's never been as needed or as noticeable as it was today. I immersed myself in my characters' lives, their motivations, their pain...and for a little while I got to forget my own. Today I found real success in words and scenes being created. I finished a really difficult scene (I'm not terribly experienced at writing battles so I've been avoiding it) and felt like I was on top of the world. I cannot wait to see where this new headspace takes me...and my story. I'm a mother, a writer, a teacher, a wannabe-something-important, and a hopeless romantic. I often wish I was more than I am, or at least better at it. I rely far too much on what I think others think of me in order to determine my self-worth. I am probably exhausting to be around, but will make you happy you stayed.